iText could recognize text from any image. It’s so easy to take image. – Use iText’s built-in tool to capture any screen. – Drag an image to iText’s icon in menu bar. – Select an image file. The recognition result is very accurate. – Powered by Google online OCR service, support 50+ languages. 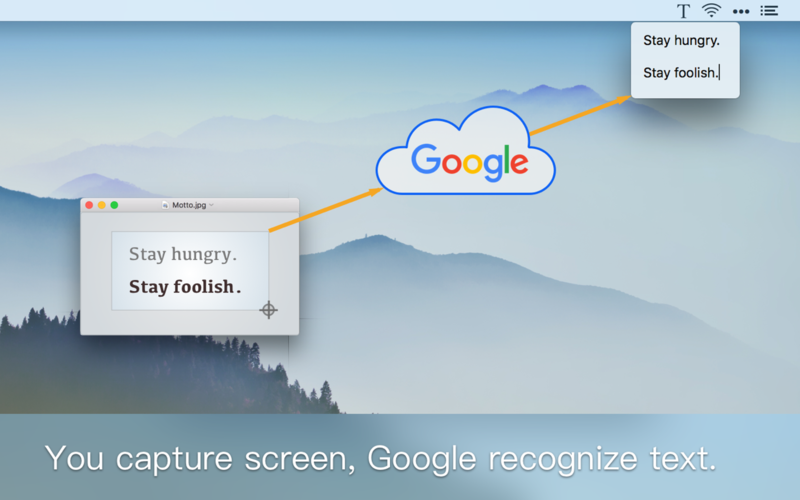 – Auto detect paragraphs, optimize layout. – Could preview the original picture for easy proofing. – No Dock needed, only exists in the menu bar. – Support a variety of shortcuts, easy to operate. Integrate Google Translate, support 100+ languages. Support continuous recognition, automatically merge the recognized text.